Gather and Remember. We Will Make it Easy. At Sunset View Cemetery & Mortuary, we have observed that something special happens when loved ones and friends gather together around food. Stories are shared, memories are savored, and healing can begin. Instead of trying to arrange something in your home, or a local restaurant, come to us for help arranging a funeral reception. 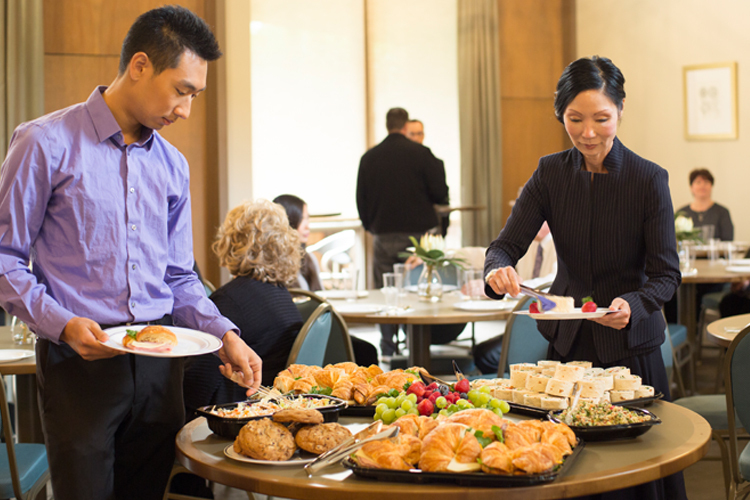 Whether you want to arrange an elaborate seated dinner for 80 people, or a small outdoor gathering with just a dozen of your closest loved ones, we can help connect you with catering services, and our dedicated host can help with set-up and anything else you might need. 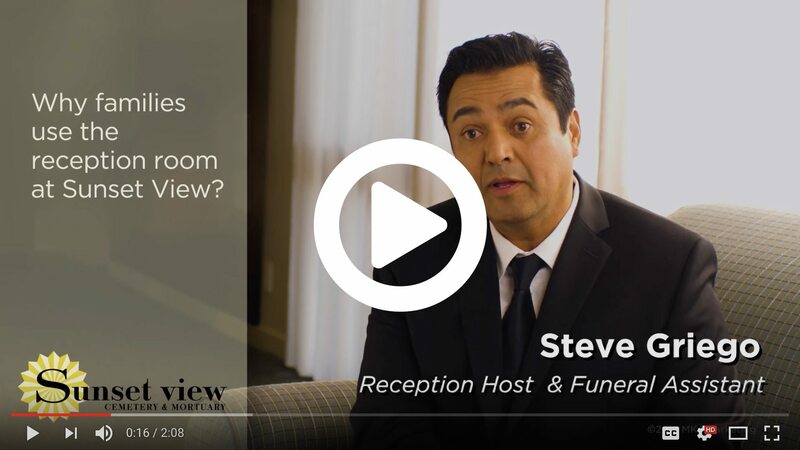 Planning a funeral reception can also become another way to express your loved one’s personality or interests. You might serve your father’s favorite meal, or your grandmother’s special cookies. With Sunset View, the options are nearly endless. The staff was caring, respectful and provided personalized customer service. Funeral director, Tanya was delightful to work with and went the extra mile helping me with the service. She was able to fulfill all my wishes to present an Italian Catholic funeral.